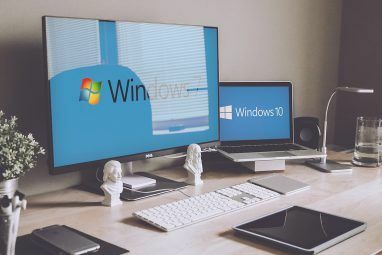 Whether you use a touch-first tablet, a traditional PC, or something in between, Windows 8.1 8 Super Windows 8.1 Tweaks For Power Users 8 Super Windows 8.1 Tweaks For Power Users With Windows 8.1 came many changes. Some options are completely new, others were changed or moved. Whether you're using Windows 8.1 on a desktop, tablet, or something in between, these tweaks will come in handy! Read More includes important security and privacy features you should know about. These range from built-in fingerprint reader support and anti-malware features to automatic device encryption and app permission settings. Unlike traditional desktop apps, modern Windows 8 “Store apps” are sandboxed What's A Sandbox, And Why Should You Be Playing in One What's A Sandbox, And Why Should You Be Playing in One Highly-connective programs can do a lot, but they're also an open invitation for bad hackers to strike. To prevent strikes from becoming successful, a developer would have to spot and close every single hole in... Read More and don’t have access to your entire system. They have to ask for permission to access your location, webcam, microphone, and other sensitive data. Like on Apple’s iPad, you can configure many of these permissions and control what apps have access to. To access these settings, swipe in from the right or press Windows Key + C Every Windows 8 Shortcut - Gestures, Desktop, Command Line Every Windows 8 Shortcut - Gestures, Desktop, Command Line Windows 8 is all about shortcuts. People with touch-enabled PCs use touch gestures, users without touch devices must learn the mouse shortcuts, power users use keyboard shortcuts on the desktop and novel command-line shortcuts, and... Read More to access the charms bar, select Settings, and select Change PC settings. Select the Privacy category. On the main pane, you’ll be able to prevent apps from accessing your name and account info, as well as disabling the advertising ID feature that lets apps serve more relevant advertising to you by tracking you across multiple apps. The Location, Webcam, and Microphone categories allow you to view which apps have access to your hardware and revoke access, if you like. You can disable access to a hardware device for all apps system-wide or just specific apps. 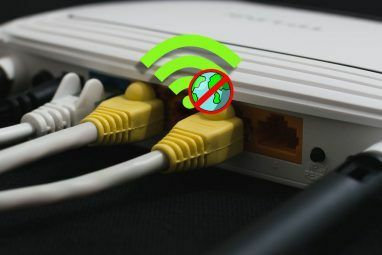 Some apps obviously won’t work properly if you disable access to specific hardware — you won’t be able to use Skype for video chats if you disable access to your webcam and microphone, for example. Windows Defender is basically a rebranded version of Microsoft Security Essentials, Microsoft’s antivirus product. Windows Defender doesn’t score at the top of the antivirus test charts, but its inclusion is a huge improvement. Finally, all Windows PCs will have an antivirus installed on them. Windows Defender normally works in the background, so you don’t have to worry about it. You can open the Windows Defender application from the All Apps view and use the simple interface to manually perform scans, if you feel like it. If you prefer another antivirus, no problem. Windows Defender will automatically disable itself when you install another antivirus product, so they won’t conflict and cause problems with your computer. 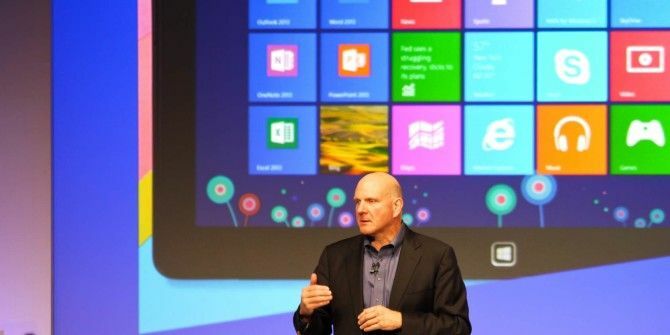 SmartScreen is another security feature Five Surprising Facts About Windows 8 Five Surprising Facts About Windows 8 Windows 8 is full of surprising changes – whatever you think about Windows 8, Microsoft certainly isn’t being timid this time around. 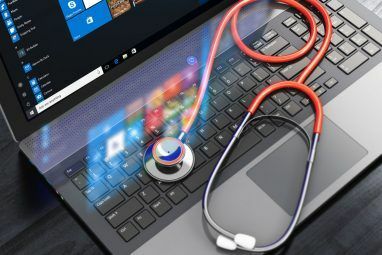 From integrated antivirus protection and less-disruptive updating to the removal of the Windows... Read More that attempts to protect Windows users from harmful software. Previously, it was only available in Internet Explorer. When you download a file in IE, it checks with Microsoft’s servers to see if other users have downloaded the file. If many other people have downloaded the file and it’s a known-good file — for example, if you’re downloading a popular program from a reputable website — it will automatically download with no errors. If it’s a dangerous, known-bad file, you’ll see a scary warning. If it’s an unknown program that few people have downloaded and that could potentially be dangerous, you’ll see a caution message. As of Windows 8, this is now integrated into the operating system. SmartScreen works when you download application files in any web browser or any other program. When you attempt to run a downloaded program, Windows will check with Microsoft’s servers. If it’s a known-bad or unknown program, you’ll see a warning. This normally works fine, but you may see some SmartScreen warnings when you download safe software that few people use. If you’re confident the software is safe, you can click the button under More info to bypass the SmartScreen warning ad run the software anyway. You can disable SmartScreen from the Action Center in the Control Panel, but we don’t recommend it. It’s another layer of protection. Windows 8.1 automatically enables device encryption on all new devices with appropriate hardware if you log in with a Microsoft account. The recovery key is stored with your Microsoft account online, so you can recover it even if you forget your Microsoft account password. To view whether you’re using Device encryption, open the PC settings app, tap PC and devices, and tap PC info. If you don’t see a Device encryption section on this page, your device doesn’t support Device encryption. Windows 8.1 has built-in support for fingerprint readers, so Windows tablets and laptops can try to compete with Apple’s new Touch ID Touch ID Woes: Troubleshooting The iPhone 5S Fingerprint Scanner Touch ID Woes: Troubleshooting The iPhone 5S Fingerprint Scanner There's no doubting that Apple's iPhone 5S introduces one of the best implementations of fingerprint scanning, but it's not been plain sailing for everyone. Read More hardware. If your device has a fingerprint reader, you won’t have to use your manufacturer’s terrible software anymore. It’s now nicely integrated into the operating system. If you have a fingerprint reader, you can navigate to PC Settings > Accounts > Sign-in options. You’ll see the fingerprint reader appear as an option, and you can add your fingerprint to your Windows account and use it to authenticate and sign in. If you’re using a Microsoft account How Microsoft Overhauled User Accounts In Windows 8 How Microsoft Overhauled User Accounts In Windows 8 What's up with user accounts in Windows 8? It's not complicated - Microsoft wants everyone to use an online account to sign into their desktop operating system. Sure, they offer an offline equivalent, but they... Read More to log into your Windows 8.1 system — and you probably are, because that’s the default — you should also follow these steps to secure your Microsoft account 5 Security Tips to Consider When Using a Microsoft Account 5 Security Tips to Consider When Using a Microsoft Account You can't use much of the new Windows 8 user interface without a Microsoft account. The account you for logging into into your computer is now an online account. This raises security concerns. Read More . Microsoft accounts are so closely integrated with Windows that the features Microsoft has added to help secure them are important for all Windows users, just as two-factor authentication is important for many other online services Which Services Offer Two-Factor Authentication? Which Services Offer Two-Factor Authentication? Not long ago, Tina told you all about two-factor authentication, how it works, and why you should use it. In a nutshell, two-factor authentication (2FA), or two-step verification as it’s sometimes called, is an additional... Read More . Explore more about: Windows 8, Windows Defender. This was available since Vista, but UAC is also a good security measure. It may be annoying to see prompts asking if you want to allow a program to make changes, but it prevents everything from running as administrator which is dangerous.